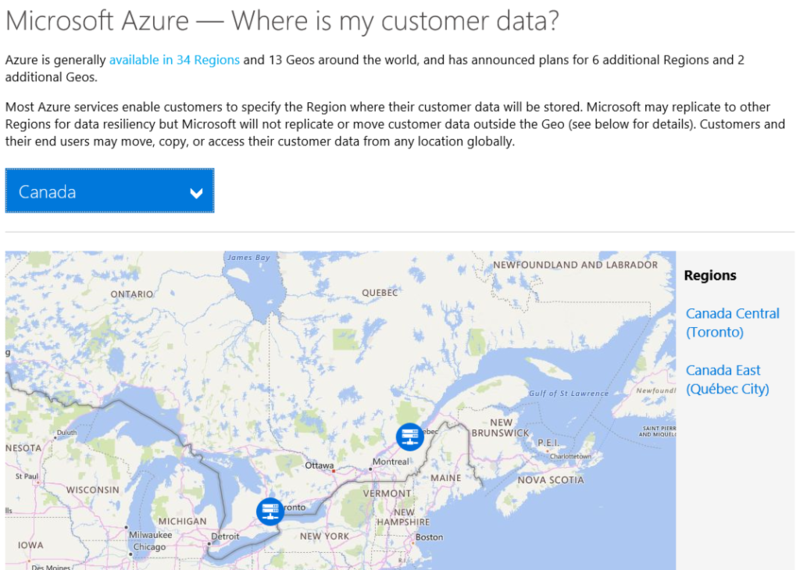 Depending on the Azure service you are using, it may or may not be available in some regions. When you setup a specific service, most of the time it will ask you to select a region where you want that service to reside however, there are some global Azure services that don’t require selecting a particular region, such as Azure Active Directory, Traffic Manager, and Azure DNS. Microsoft has also published an infographic and table which indicates the exact Azure services that are served out of each regional data center. Read more on regional availability in Azure here. Now, on Azure data residency and resilience, it is important to know that your service and data is protected in the case of failures and disasters. Furthermore, there may be rules and regulations on where to maintain your data. That is why in most cases Microsoft will usually replicate your customer data to a sister data center within the same geographic region. Read more about this here in the Microsoft Trust Center.